I really like this special frame which is now part of the complete picture in the gallery, thanks to Gianluca spotting his frame there! 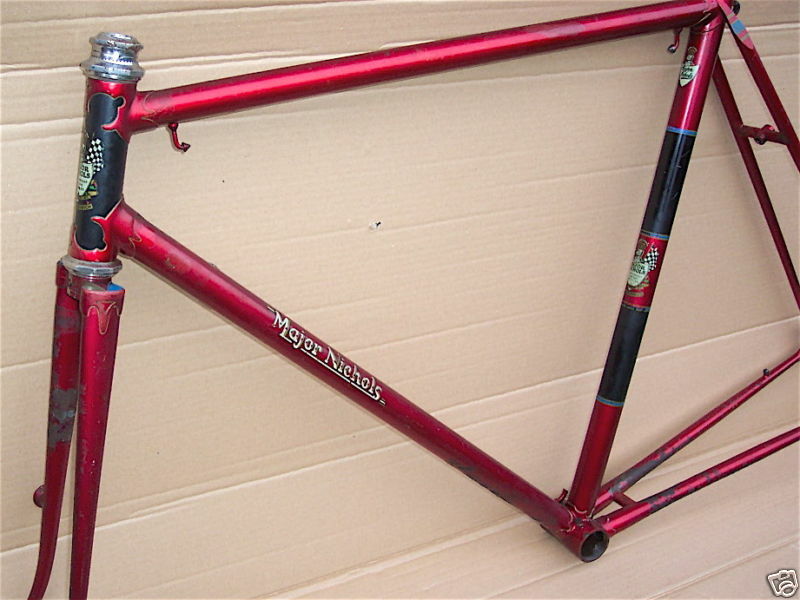 It looks like a 23” frame. This is one of four frames presently known to have my favourite Oscar Egg Superchampion lugs and of these only this and MN5836 have this form marketed by Bob Jackson to resemble Nervex Pro. It has a classic forkcrown, a French made Vagner No12+lozenge fraise (the strawberry shaped triangles on the top)+ fausse saignee (routed slots on front and rear) or a local copy. 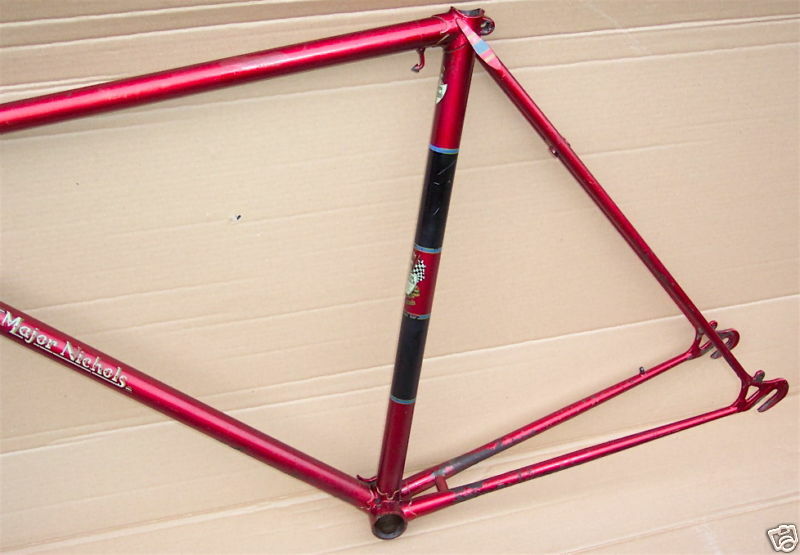 This is the same as used on the 63 green mixte frame. The tops are painted blue red and gold in the manner of Paris fork crowns. Braze ons for front offside lamp bracket boss, Cyclo lever boss, under TT pump pegs and O/S 3/4 down cable stops. BB oiler provision and O/S cable guide. 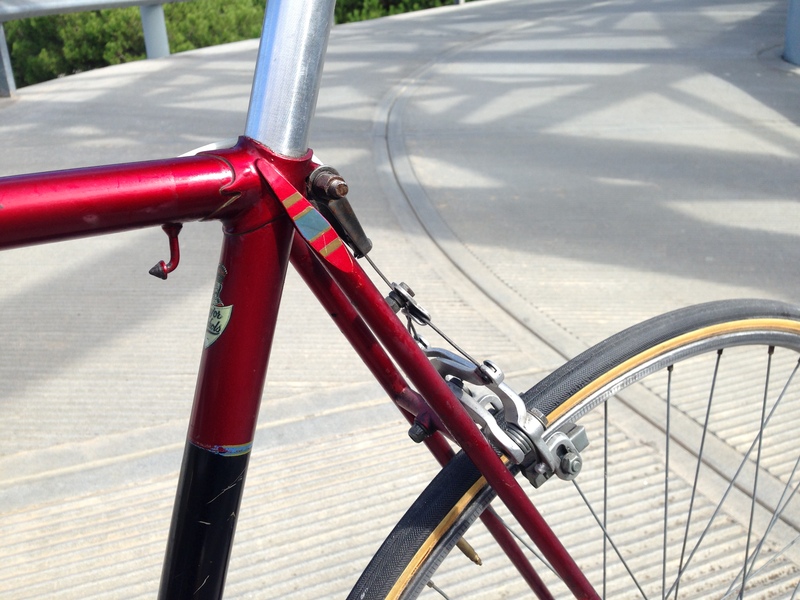 O/S chain stay cable stop threaded for adjuster. 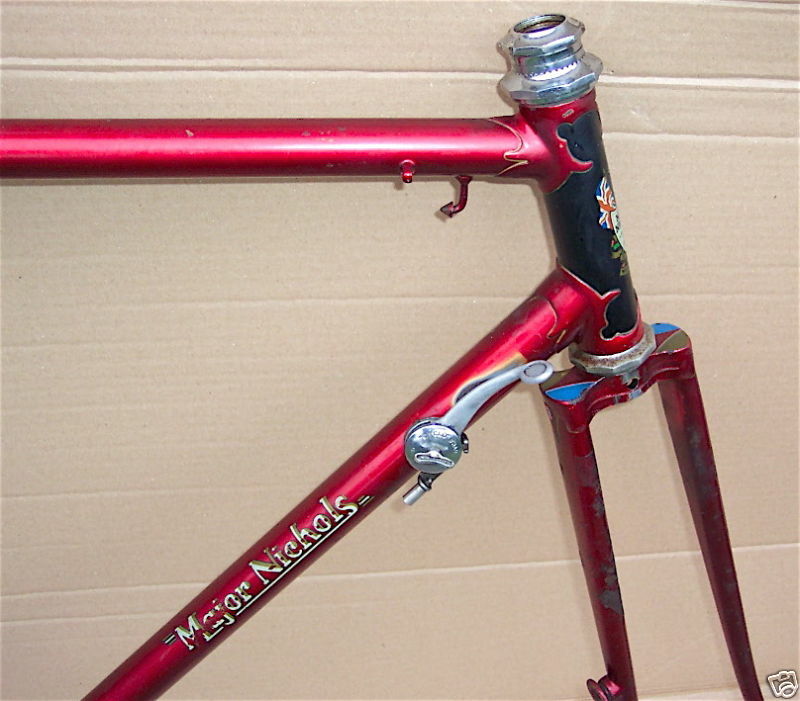 Faired medium seatstays which are just short of being a full wrapover and which have the nice non-standard decoration seen on a few frames right through his career. The forks are those used on his Record racing irons, but with mudguard eyes to make them a multipurpose Club racer, training and winter bike. 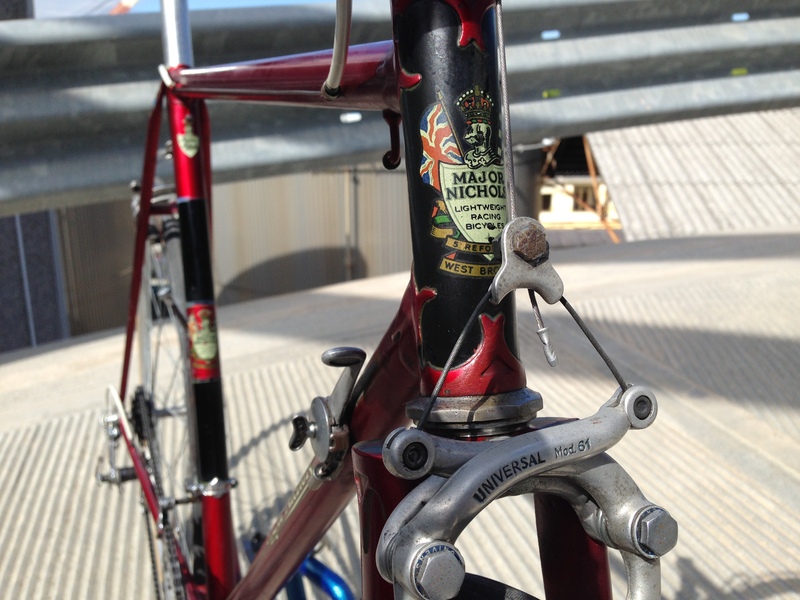 The transfers look in great shape, head and Seat Tube 5 Reform Street transfers plus a Knight’s Head and Shield Major Nichols script example. The D/T transfers are the rare Major Nichols early block script with the ornate underscoring of the name with a tail from the initial M of Major to the terminal S of Nichols. 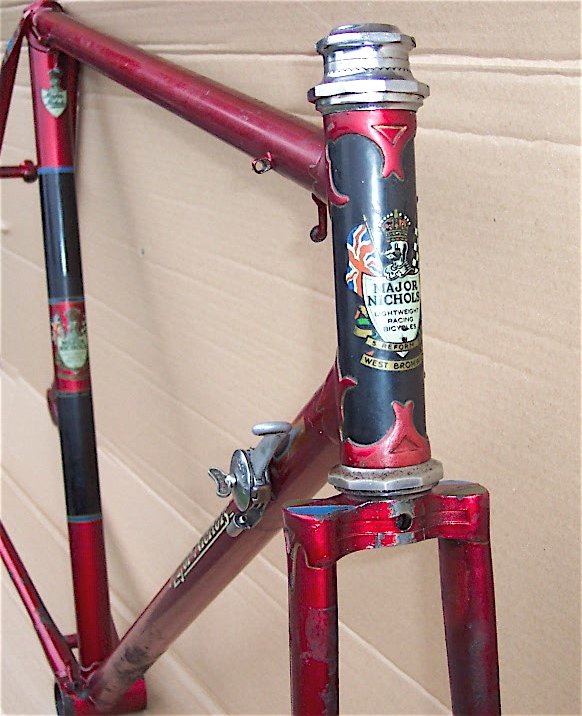 The frame is special for this combination of transfers and the fork crown and SS panel decorations alone. Now we have the full machine in great shape and with nice equipment. 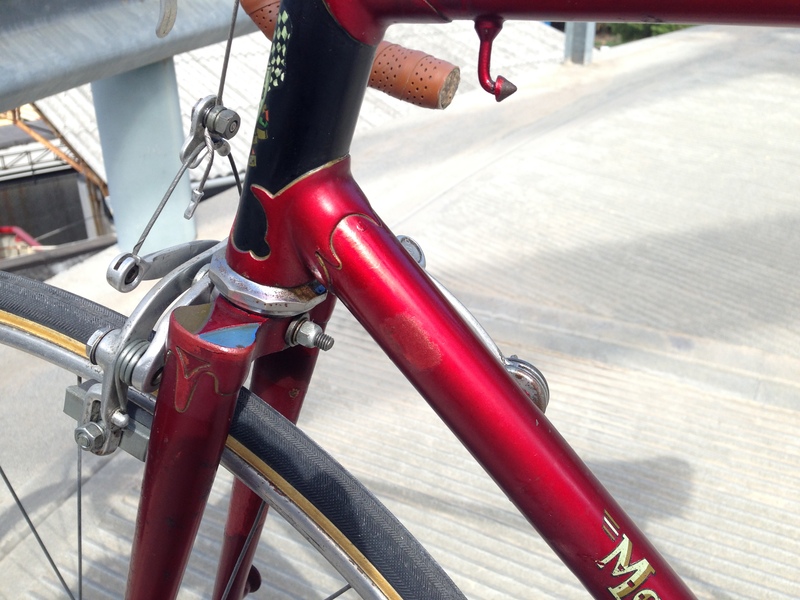 Phillippe Milremo Stem with Phillippe Bars, Weinmann Red Spot levers serving Universal mod. 61 centrepulls. 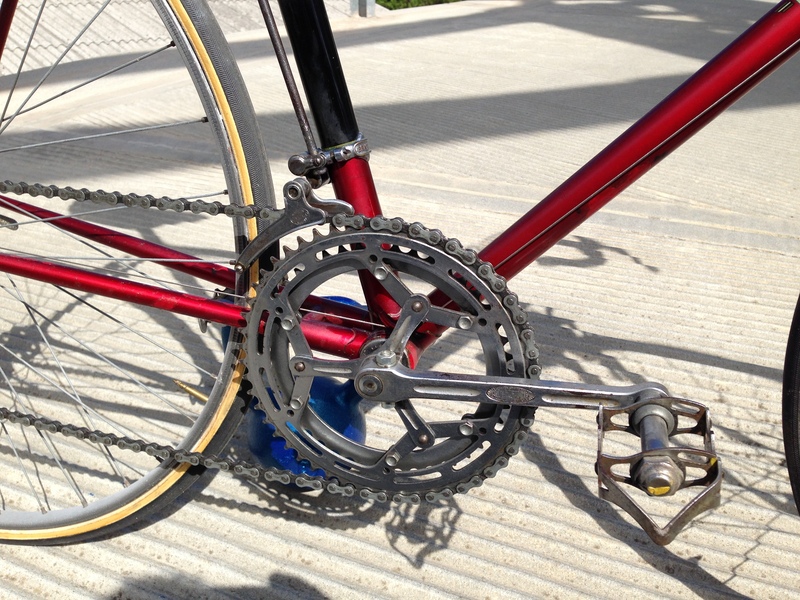 Stronglight early steel 3 arm double chainset for cottar pins on a TDC BB. 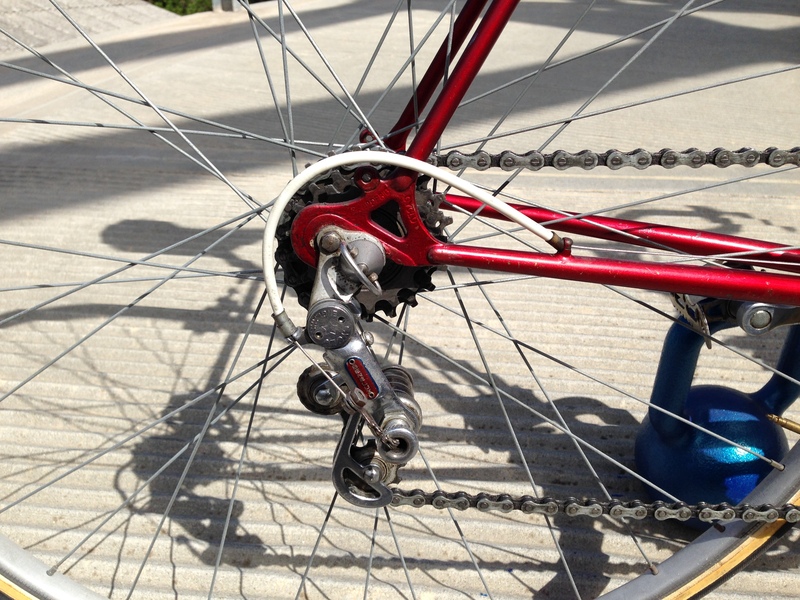 5 speed freewheel. Cyclo Benelux rear changer and shifter and Cyclo rod front changer. Sheffield pedals. 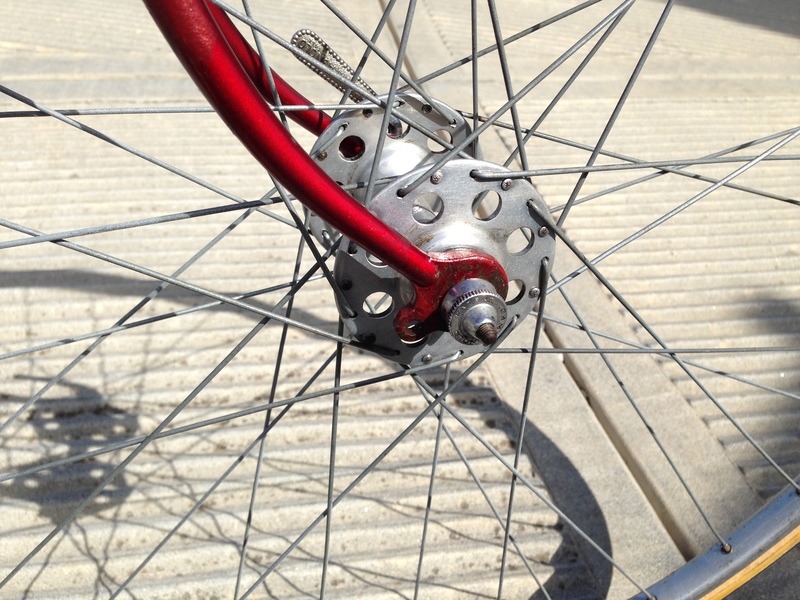 Nisi rims and early Campagnolo Record LF hubs. 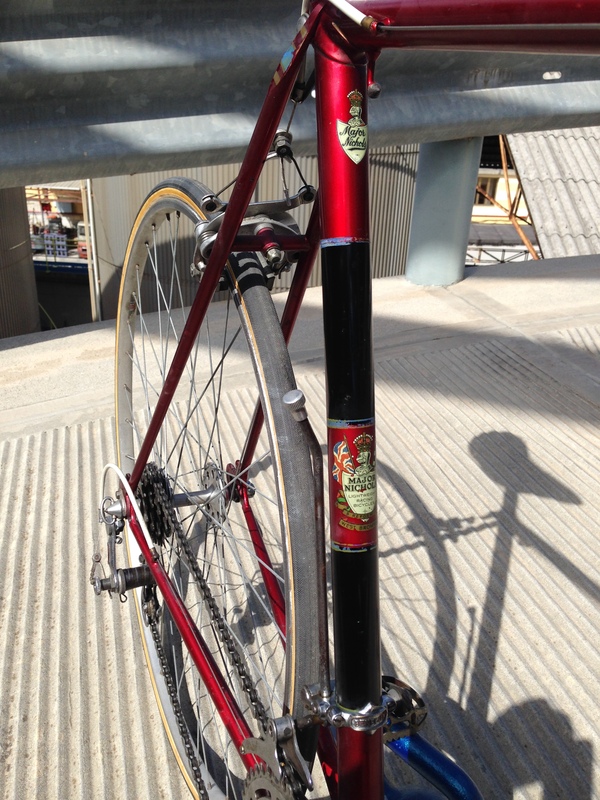 A nice saddle on an alloy pin. 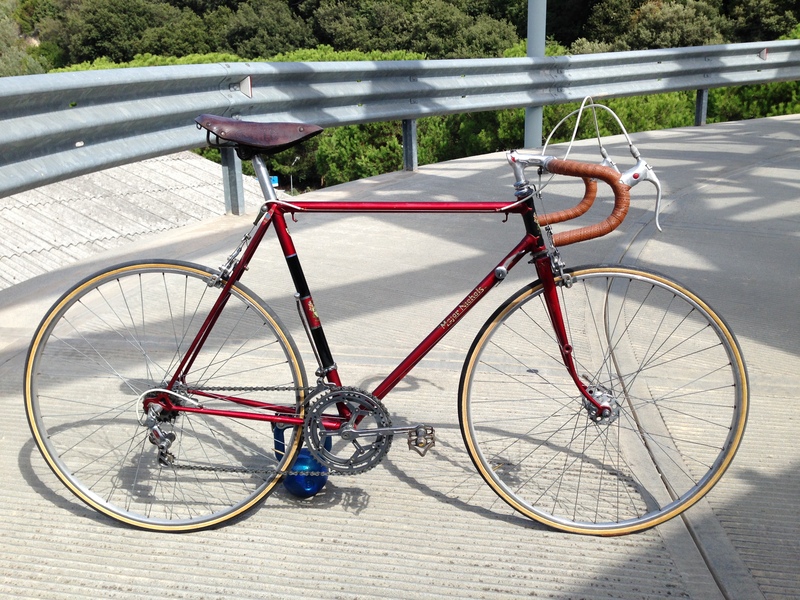 This grand Lady completed the 2010 L’Eroica 207km ride with Gianluca. Wonderful! 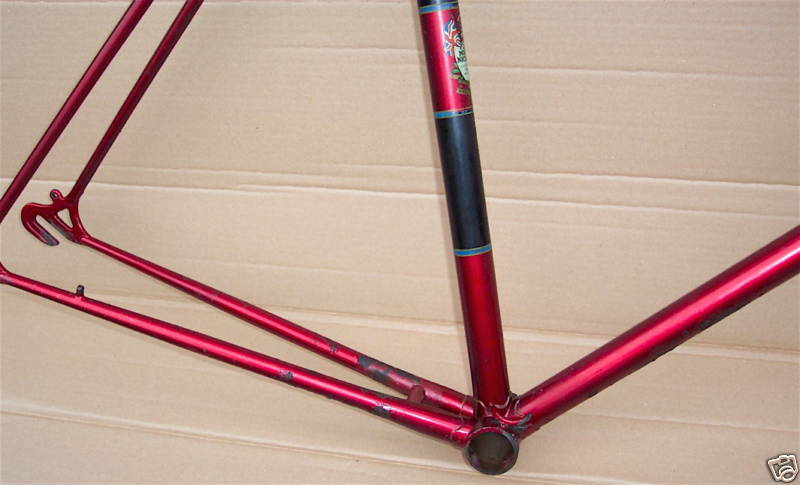 I really like this special jewel of a frame, the finish is exceptionally finely done. This is one of four presently known to have Oscar Egg Superchampion lugs and of these only this and MN5836 have this form marketed by Bob Jackson to resemble Nervex Pro. 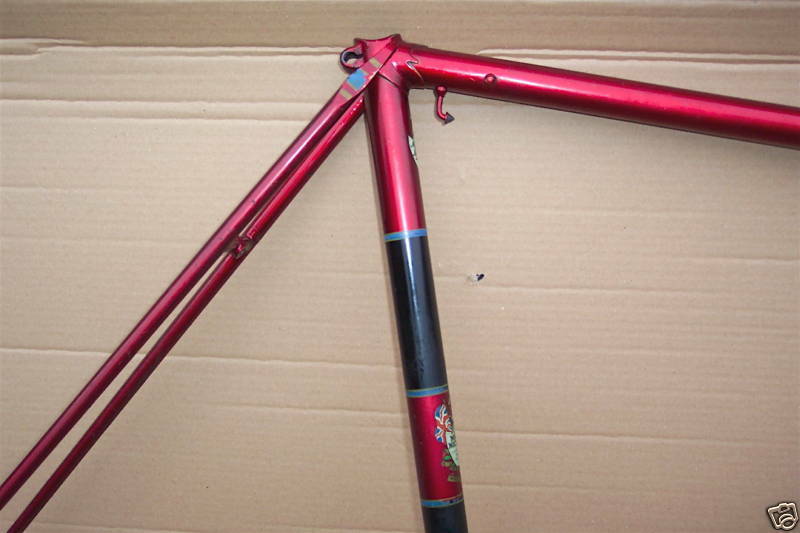 Seat and chainstay bridges are straight and the seatstay is reinforced. 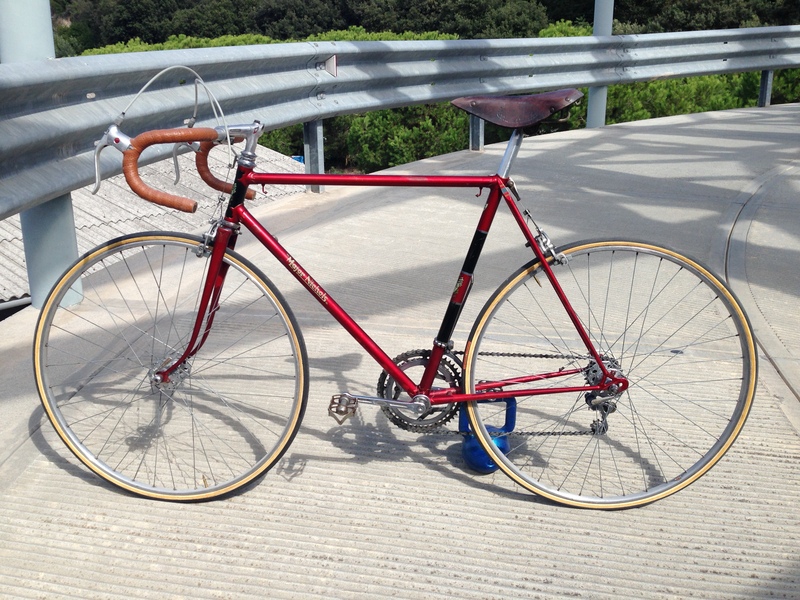 It has a classic forkcrown, a French made Vagner No12+lozenge fraise (the strawberry shaped triangles on the top)+ fausse saignee (routed slots on front) which is the same as used on the 63 green mixte frame. The tops are painted blue, red and gold in the manner of Paris fork crowns. Gold lug lining. Braze ons for front offside lamp bracket boss, Cyclo lever boss, under TT pump pegs and O/S 3/4 down cable stops. BB oiler provision and O/S cable guide. 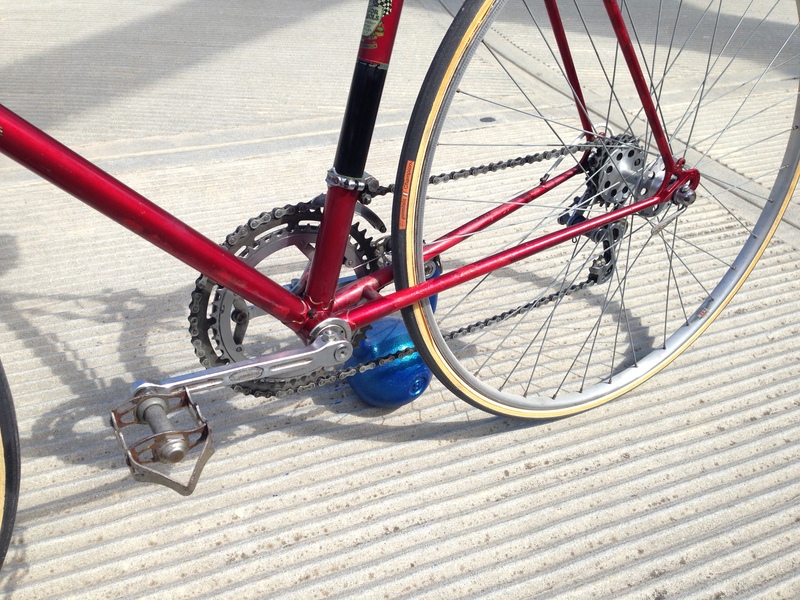 O/S chain stay cable stop threaded for adjuster. 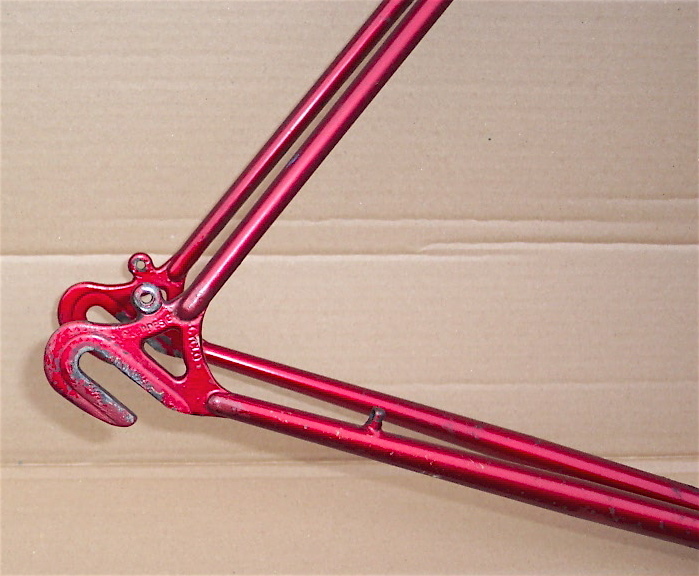 Wrapover medium seatstays which have non-standard decoration seen on a few frames right through his career. 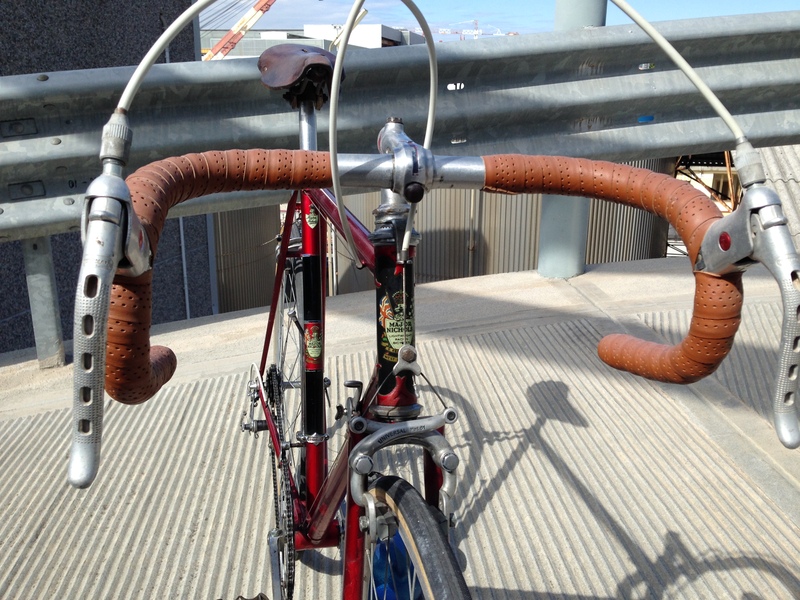 Pity we can’t see fork ends. They look like they may be the same shape as MN5836. The transfers look in great shape, head and ST Reform Street plus a Knight’s Head and Shield Major Nichols script example. The D/T transfers are the rare Major Nichols early block script with the ornate underscoring of the name with a tail from the initial M of Major to the terminal S of Nichols.